On March 7,1994, Spencer Guerry, the 37-year-old Deputy Police Chief of Georgetown on the South Carolina coast, was shot after he stopped the car David Hill was driving. The car pulled over in the parking lot of a car wash. Hill was driving a silver Honda Prelude with expired Colorado license plates. Hill did not have a valid driver's license and had marijuana in the car. Officer Guerry took Hill's Colorado identification card and car registration and called the information in to the dispatcher. As he was walking back to Hill's car, he was shot once through the cheek. Despite being shot in the face, the officer managed to radio for help. Hill's identification card and registration were found in Guerry's shirt pocket. After making several attempts to manufacture and destroy evidence, Hill then called the police and was arrested. Hill's defense at trial was that someone had been hiding in his backseat and shot Officer Guerry. At trial, several witnesses testified that Hill was the only person in the Honda. State v. Hill, 501 S.E.2d 122 (S.C.,1998) (Direct Appeal). Hill v. Ozmint, 339 F.3d 187 (C.A.4 2003) (Habeas). All he asked for was a bottle of Dom Perignon champagne, but since that is contraband, his request was denied. COLUMBIA — At 6:04 p.m. Friday, David Clayton Hill took what appeared to be his last breath. Thirteen minutes later, it was announced by a warden at the Broad River Correctional Institution in Columbia the sentence handed down against the Georgetown native on Halloween 1995 had been carried out. Hill, 39, received the death penalty for shooting and killing 37-year-old Georgetown Assistant Police Chief Maj. Spencer Guerry in March 1994. Guerry had pulled Hill’s car over for having an expired license tag. At the trial the following year, it took the jury 45 minutes to find Hill guilty, and 80 minutes to sentence him to death. Friday’s execution brought to a close years of appeals and two weeks of legal maneuvering between Hill’s attorneys and South Carolina Attorney General Henry McMaster on whether the sentence would be rendered or postponed. On Feb. 20, the State Supreme Court issued the warrant setting March 19 as the execution date. That put into motion a series of last ditch efforts by Hill’s attorney, Jerome Nickerson, to have the procedure halted. Motions were filed in U.S. District and Circuit Courts for a stay on the grounds that lethal injection is cruel and unusual punishment. The U.S. District Court granted the stay on March 4 and the 4th District Court of Appeals upheld the stay on March 16. The attorney general then appealed to the U.S. Supreme Court, which did not issue a ruling until about 2 p.m. Friday, four hours before the scheduled execution. "The high court vacated the stay of execution to allow the sentence to go forward," McMaster’s spokesman Mark Plowden said in a phone call Friday afternoon. Nickerson sought to have Gov. Mark Sanford step in, but that request was also denied. "I have reviewed this matter with my legal counsel and can find no reason to intervene and overturn the findings of an exhaustive judicial process," Sanford said in a statement issued at 4:26 p.m. Friday. With nothing left to stop the sentence from being rendered, Hill was offered the opportunity for a final meal, but his request was denied. "All he asked for was a bottle of Dom Perignon champagne, but that is contraband, so he didn’t get it," said prison spokesman John Barkley. At about the same time Sanford issued his decision, a few protesters opposed to the death penalty began to march as they carried signs along the edge of the prison property. One of the protesters was Margaret Abbott, who has a son on death row. She said she has known Hill for many years. "David is young man who has matured since he went to prison. His mother died and he wasn’t able to go to the funeral. His mother didn’t get a chance to have her arms around him for years, but if they execute him tonight, she will have her arms around him because I know where he will go," she said. At about 5:20 p.m., Hill was escorted about 50 feet from his holding cell to the death chamber, said Barkley, who would not release details of Hill’s demeanor during that final walk. Out of the view of witnesses, Hill was placed on a gurney and his arms were outstretched and taped down. The IVs were then inserted into his veins. At about 5:45 p.m., seven of the 11 witnesses were driven the half-mile from the front office of the prison to the small Capital Punishment Facility. They included Spencer Guerry’s widow, Sally; Georgetown Police Chief Dan Furr; former Georgetown Police officer Tracy Newell; Hill’s brother Jeff Scott; Solicitor Greg Hembree and two agents from the South Carolina Law Enforcement Division. Five minutes later the three media witnesses were allowed in the room. A muffled voice could be heard from behind the glass and closed curtain for about three minutes. The person was reciting what sounded to be the Lord’s Prayer and the 23rd Psalm. Then, at 6:01 p.m., the curtain opened with five people standing by Hill’s side. Three of them quickly walked behind another curtain, leaving only Hill and two wardens in the sight of the witnesses. At the front of the prison, the protesters stopped marching and sat silently in a circle as the execution was taking place. Hill, wearing a green shirt, with the lower half of his body covered with a white sheet, had his head facing away from the witnesses. He then turned his head around, and even lifted his head twice momentarily, as if he were trying to see who was in the witness room. He appeared to make eye contact with both Mrs. Guerry and Furr, who were seated on the front row of chairs, only inches from the window. His lawyer then read his seven-word final statement: "Read Philippians 1:9-23." A portion of the passage written by the Apostle Paul states: "Now I want you to know, brothers, that what has happened to me has really served to advance the gospel. As a result, it has become clear throughout the whole palace guard and to everyone else that I am in chains for Christ … For to me, to live is Christ and to die is gain. If I am to go on living in the body, this will mean fruitful labor for me. Yet what shall I choose? I do not know! I am torn between the two: I desire to depart and be with Christ, which is better by far." Hill’s priest then entered the witness room and Hill looked over and smiled briefly. Mrs. Guerry later said she did not know who Hill was looking at when he smiled. He then rested his head and stared at the ceiling. Seconds later he closed his eyes as he exhaled for what seemed to be the final time. A deafening silence fell over the building for 13 minutes as each of the witnesses stayed focused on Hill, the sixth Georgetonian to be executed in the past century. At 6:17 p.m., a medical examiner walked in and placed a stethoscope to Hill’s heart and he was pronounced dead. At a press conference following the execution, Mrs. Guerry, who had wrestled for weeks about whether to be a witness to the sentence, said she made her decision after she arrived at the capital punishment facility. "When I walked in the witness room door is when I decided. I did it for Spencer," she said. When asked, Mrs. Guerry said she was not surprised Hill offered no apology or showed no remorse. "I didn’t expect one," she said. Hembree echoed Mrs.Guerry’s comments. It would be appropriate to express some type of remorse … but he chose not to do that and I think that is a comment on his nature," he said. Mrs. Guerry said she expected Hill to look different once the curtain opened. "I may be a little naive, because I thought when I first saw him, I expected him to look different because he took my husband and sons’ father away. He looks like you or I. That was very emotional," she said. Hembree also said Hill’s case should send a clear message to anyone who ever thinks of harming a law enforcement officer. "This was clearly a case that warranted the death penalty. Anyone who chooses to kill a police officer in the line of duty … will face the possibility of the death penalty. If the jury does hand down a death penalty, we will work with the attorney general’s office to see that sentence is carried out," he said. Former Solicitor Ralph Wilson, who prosecuted the case against Hill, told the Post and Courier last week he agrees with Hembree. "If we're going to put police officers on the street to protect us, and not have the most serious penalties when you kill a police officer, we're fighting a losing battle," he said. "You'd have open season on law enforcement." Nickerson said he worked hard for his client because Hill was "a really decent human being. He's an interesting, thoughtful individual who really cares about other people." Both Mrs. Guerry and Furr said after they saw the lethal injection method of execution first-hand, they don’t understand how it can be called "cruel" as it has been by many defense attorneys across America. "I looked at the medication going into Mr. Hill and I saw how peaceful it was for him and I thought how violent it was for my husband," Mrs. Guerry said. "I was struck by the very humane way Mr. Hill died. I recall being on the scene when Spencer was killed and it was totally different," Furr added. On March 7,1994, Spencer Guerry, the 37-year-old Deputy Police Chief of Georgetown on the South Carolina coast, was shot after he stopped the car David Hill was driving. The car pulled over in the parking lot of a car wash. Hill was driving a silver Honda Prelude with expired Colorado license plates. Hill did not have a valid driver's license and had marijuana in the car. Officer Guerry took Hill's Colorado identification card and car registration and called the information in to the dispatcher. As he was walking back to Hill's car, he was shot once through the cheek. Despite being shot in the face, the officer managed to radio for help. A tape recording of his call revealed that he muttered a few words only, including "...shot me''. Spencer Guerry died two days later, becoming the first police officer to die in the line of duty in Georgetown for almost a century. After the shooting, Hill drove to his house, picked up his girlfriend and some of his belongings, and then drove to his mother's mobile home. He told his mother he was in trouble and asked if they could borrow her car. His mother refused but offered to drive. Hill's mother and girlfriend followed him down a dirt road where Hill drove his car into a ditch. They then returned to his mother's mobile home and Hill asked his girlfriend to report his car stolen. She refused. Hill left the mobile home for a while. During his absence, the police arrived searching for him. Later, Hill returned to his mother's mobile home. He took a shower, washed his clothes, and poured Clorox on his hands. He then called the police and was arrested. Hill's defense at trial was that someone had been hiding in his backseat and shot Officer Guerry. At trial, several witnesses testified that Hill was the only person in the Honda. Major Guerry was a fifteen-year police veteran and the father of two young boys and the husband of an elementary school teacher. Deputy Chief Guerry grew up in the Jamestown section of Berkeley County, graduated from Macedonia High School in 1974, was hired as a city policeman in 1979 at age twenty, and was promoted through the ranks thereafter. C. Spencer Guerry's name has been engraved at the National Law Enforcement Memorial in Washington, DC. His name can be located on panel 44, E -19. A plaque bearing C. Spencer Guerry's name is displayed at the South Carolina Criminal Justice Hall of Fame in Columbia. While attending an appellate hearing for Hill, Spencer Guerry's widow Sally said because she had never attended a post-conviction relief hearing before, she had no idea what to expect. "The waiting is the hardest thing for Hill's family and for me," the 1st-grade teacher said. She said her sons, Ryan, 11, and James, 14, opted not to attend the hearing so they could qualify to play soccer after school. "Their father would want them at that soccer game," she said. UPDATE: A federal judge has stopped the March 19 execution of a man convicted of killing a Georgetown police officer, but the state attorney general's office says it will appeal the order. Lawyers for David Clayton Hill had sued, saying lethal injection is cruel and unusual punishment. They also had problems with how South Carolina carries out executions. Federal District Judge David Norton agreed, saying in his ruling Thursday that Hill has legitimate points about the state's lack of methods to ensure the doses of three drugs used in the procedure are calculated properly. Norton's ruling also mentioned the state uses a smaller amount of one of the drugs than the federal government and other states, and prison officials don't require a medical professional to oversee the execution. "It would indeed be odd to deny a temporary injunction to an inmate who will suffer loss of life under possibly cruel and unusual circumstances on the ground that the state is entitled to finality," Norton wrote. The judge said the execution should be halted until the U.S. Supreme Court considers an Alabama case where a condemned man says lethal injection is cruel and unusual for him because he has a vascular condition and authorities might have to cut through his tissues to start the injection. Hill had exhausted all his other appeals in state and federal court. Lawyers for the attorney general's office will appeal the ruling early next week. If the stay is lifted, the execution could go on. In a series of lethal injection complaints across the country in the last few months, the U.S. Supreme Court has denied stays even when they were granted by lower federal courts. In only one case, from Virginia, the high court allowed the stay of execution because the prisoner also has a similar problem with his veins. In papers filed Monday, prosecutors include a sworn statement from a doctor who visited Hill on death row last week. After looking at Hill's arms, Dr. Ryan Hutchinson said he doesn't think there will be a problem finding a vein at Hill's execution. The news of Hill's reprieve stunned Guerry's wife. "When I heard about the stay, the wind went out of me," Sally Guerry said. UPDATE: The 4th U.S. Circuit Court of Appeals upheld a stay of execution Wednesday for convicted killer David Clayton Hill. Hill, 39, who was sentenced to death for killing Georgetown police Maj. Spencer Guerry at a traffic stop in 1994, is arguing that lethal injection is cruel and unusual punishment. Attorney General Henry McMaster said his office would immediately file an appeal to the U.S. Supreme Court. Hill was scheduled to be put to death Friday, but a federal judge granted a stay March 4. McMaster said he hopes the high court will rule in his favor by midnight Friday. In a two-paragraph order, the appellate court said it would stay the execution while the U.S. Supreme Court considers an Alabama case. A condemned man there has said lethal injection is cruel and unusual for him because he has a vascular condition and authorities might have to cut through his tissue to start the injection. "But this defendant makes no allegation like that," McMaster said. "There's an affidavit where the doctor says his arm and veins are perfectly suitable. ... This is an abuse of the process." The state's has included a sworn statement from a doctor who has visited Hill on death row. After looking at Hill's arms, Dr. Ryan Hutchinson said he doesn't think there will be a problem finding a vein at Hill's execution. The state also argued that other executions have been allowed to continue despite the unresolved Alabama case. Attorneys for Hill have said the state has not administered enough sedative in some lethal injections since 1995, when South Carolina began using the execution method. Citing toxicology reports from executed inmates, Hill's attorneys said some may have been conscious when the lethal dose was administered. "Mr. Hill was pleased," said his attorney Jerome Nickerson, who wants an investigation into how the state conducts its lethal injections. Nickerson said Hill's lethal injection case is different "because Hill is the only individual in the United States that's presenting blood and toxicology evidence in support of his argument. ... Nobody else has done it before." McMaster's office has filed an affidavit from the state toxicologist that says a correlation between sedative levels after death and before death "cannot be made with a reasonable degree of scientific certainty." South Carolina uses three drugs to kill condemned inmates. The first drug is a sedative, the second is a drug that paralyzes muscles and can stop breathing and the third is potassium chloride, which stops the heart. Hill's sister, Debbie Nesbitt, told The (Charleston) Post and Courier she was too upset to talk about the case. Sally Guerry, the slain officer's wife, received a round of calls from group members when news of the stay came out Tuesday. "You're in limbo," Guerry told the newspaper. "You don't know what to do." UPDATE: Smiles and hugs of support were passed around during the dedication of the C. Spencer Guerry Law Enforcement Center on Tuesday afternoon. Former co-workers from the Georgetown Police Department, as well as Guerry's widow, Sally Guerry, shared stories about the slain officer and how he would be pleased with the modern facility that opened in September on Highmarket Street. The Georgetown Law Enforcement and Municipal Court complex, built several blocks from where Guerry was shot, contains a 911 center, a police center and a municipal court. The Police Department, located in one wing of the building, was named for Guerry. Guerry's picture, taken during FBI training at Quantico, Va., hangs in the lobby. "We're here to celebrate the life of a wonderful man," Sally Guerry said. "Few people see their dreams realized after their death." Tuesday was the 10-year anniversary of Guerry's death. He was killed by David Hill during a traffic stop at the Georgetown Car Wash, also on Highmarket Street. Hill was convicted of Guerry's death in 1995. He was scheduled to receive a lethal injection March 19, but he received a stay of execution this week. Guerry's friend Ken Arthur attended the ceremony. Arthur, now a retired police officer, wept as he talked about Guerry. "Spencer was just the best person I've ever met," he said. The ceremony drew officers from Charleston, Georgetown and Horry counties. Troopers from the S.C. Highway Patrol also attended the dedication. Guerry's mother, Jean Guerry, and his two sons, Ryan and James Guerry, listened as tributes were read in Guerry's honor. James Guerry, 18, is studying criminal justice at the University of South Carolina and wants to join the FBI. Ryan Guerry, 20, is taking business courses at Horry-Georgetown Technical College and will transfer to the University of South Carolina next year. "Spencer was the person who interviewed me and hired me," said Georgetown City Police Chief Dan Furr. "I was not impressed with the [the former Police Department building], but I was impressed by a young police captain named Spencer Guerry." The dedication was planned to coincide with the 10-year anniversary of Guerry's death, Furr said. Guerry often talked about a bigger Police Department building. The C. Spencer Guerry Law Enforcement Center has about 17,000 square feet. Officers moved from the 8,000-square-foot building on Fraser Street in September. UPDATE: The final appeal for convicted killer David Clayton Hill ended Friday as the U.S. Supreme Court voted 5-4 to allow his execution to continue. The announcement came a few hours before Hill was scheduled to be put to death by lethal injection and erases the reprieve he received 2 weeks ago. Hill, 39, was convicted of killing Georgetown Police Maj. Spencer Guerry, who was shot in the head during a traffic stop 10 years ago. Hill's identification card and registration were found in Guerry's shirt pocket. A federal judge issued a stay two weeks ago while Hill's lawyers argued that the way South Carolina performs lethal injections is cruel and unusual punishment. A federal appeals court upheld the delay this week, but the state attorney general's office appealed the stay to the U.S. Supreme Court. Justices John Paul Stevens, David H. Souter, Ruth Bader Ginsburg and Stephen Breyer objected to the high court's decision to lift the stay. Attorneys for Hill also had filed an emergency appeal with the state Supreme Court, which was denied Friday. Gov. Mark Sanford also had not issued a reprieve by Friday afternoon. "It's over," said defense lawyer Margaret Webster. Lead attorney Jerome Nickerson had no immediate comment. Hill was moved to Broad River Correctional Institution on Friday morning in preparation for the execution, Webster said. Justice finally is being served, said state Attorney General Henry McMaster. "The only cruel and unusual punishment in this whole thing is the wait the Guerry family has had to endure over all these years," McMaster said. In his most recent appeals, Hill's lawyers made the same argument that the chemicals South Carolina uses to put inmates to death cause an extreme amount of anguish and are cruel and unusual punishment. Similar appeals have failed. At least 6 times in January, inmates who claimed lethal injection was unconstitutionally cruel have been sent to the death chamber by 5-4 votes of the U.S. Supreme Court. UPDATE: David Clayton Hill neither apologized nor confessed before he was put to death at 6:17 p.m. Friday for the 1994 murder of Georgetown police Maj. Spencer Guerry. Hill, 39, glanced briefly at the witnesses, including Sally Guerry, Spencer Guerry's widow, and smiled. "He just smiled; I don't know who he was smiling at," Sally Guerry said. Last-ditch appeals to the state Supreme Court, U.S. Supreme Court and Gov. Mark Sanford on grounds that the state's lethal injection methods could be cruel and unusual punishment all failed Friday, and the execution was carried out as scheduled. At a press conference following the execution, Mrs. Guerry, who had wrestled for weeks about whether to be a witness to the sentence, said she made her decision after she arrived at the capital punishment facility. "When I walked in the witness room door is when I decided. I did it for Spencer," she said. "I know I made the right decision, I do," she said. She had to watch on behalf of her husband, she said. Her sons, Ryan, who will be 21 next week, and James, 18, chose not to attend and were in Columbia with friends. Sally Guerry said she thought about her husband while watching the lethal chemicals being pumped into Hill's veins. "I thought about my husband, I really did. I looked at the medication going into him, and I thought about how peaceful it was for him and how violent it was for Spencer," she said. They had been together 19 years, half their lifetimes, when he died, she said, and her sons have grown up without a father. Asked whether Hill's execution gave her final comfort, she said no. When asked, Mrs. Guerry said she was not surprised Hill offered no apology or showed no remorse. "I didn't expect one," she said. Mrs. Guerry said she expected Hill to look different once the curtain opened. "I may be a little naive, because I thought when I first saw him, I expected him to look different because he took my husband and son's father away. He looks like you or I. That was very emotional," she said. 15th Circuit Solicitor Greg Hembree also witnessed the execution. He commended former Solicitor Ralph Wilson, who prosecuted the case. "This was clearly a case that warranted the death penalty," Hembree said. He also said he was not surprised Hill did not use his last words to apologize. "It would be appropriate to express some form of remorse," Hembree said. "He chose not to do that, and I think that is a comment on his nature." Hembree also said Hill's case should send a clear message to anyone who ever thinks of harming a law enforcement officer. "This was clearly a case that warranted the death penalty. Anyone who chooses to kill a police officer in the line of duty will face the possibility of the death penalty. If the jury does hand down a death penalty, we will work with the attorney general's office to see that sentence is carried out," he said. Former Solicitor Ralph Wilson, who prosecuted the case against Hill, told the Post and Courier last week he agrees with Hembree. "If we're going to put police officers on the street to protect us, and not have the most serious penalties when you kill a police officer, we're fighting a losing battle," he said. "You'd have open season on law enforcement." Georgetown Police Chief Dan Furr, who was a captain on the force when Guerry was killed, said justice had been done. Both Mrs. Guerry and Furr said after they saw the lethal injection method of execution 1st-hand, they don't understand how it can be called "cruel" as it has been by many defense attorneys across America. "I was struck today by the very humane action in which Mr. Hill died," Furr said. "I was on the scene when Spencer was killed, it was very different." Guerry hired him, and they were close, Furr said. "I miss him tremendously today. I think of him often," he said. Hill, who worked in restaurants up and down the beach for years and knew good food and wine, asked only for a bottle of Dom Perignon, an expensive champagne, as his last meal. The state denied that request, said prisons spokesman John Barkley. So Hill's last meal was whatever prisoners had for supper, he said. Hill's witnesses were his brother, Jeff Scott, and a minister, identified only as Father Andrew. Both left without speaking to reporters. Sally Guerry, a devout Catholic whose denomination generally opposes the death penalty, wrestled with the issue. In the end, she took the approach that "it's not me versus David Hill." It was the state of South Carolina that found him guilty and sentenced him, she said. COLUMBIA, S.C. (AP) -- A convicted police killer was executed by lethal injection Friday, hours after he lost his final appeal to the U.S. Supreme Court, claiming the way South Carolina puts inmates to death is unusually cruel. David Clayton Hill, 39, recited a Bible verse, looked at witnesses and then gazed upward as he received a lethal injection. He died less than two minutes after the infusion. Earlier Friday, the high court voted 5-4 to let the execution proceed, erasing a reprieve Hill received two weeks ago. A federal judge had blocked the execution to give Hill's lawyers time to argue that the way South Carolina performs lethal injections is cruel and unusual punishment, and a federal appeals court upheld the delay this week. Hill's lawyers argued South Carolina doesn't sedate inmates enough to render them unconscious before administering chemicals to paralyze muscles, stop respirations and still the heart. The state attorney general's office appealed to the Supreme Court. Justices John Paul Stevens, David H. Souter, Ruth Bader Ginsburg and Stephen Breyer objected to the high court's decision to lift the stay. Hill was convicted of killing Police Maj. Spencer Guerry, an officer who was shot in the head during a traffic stop 10 years ago. Hill's identification card and registration were found in Guerry's shirt pocket. The Supreme Court has clashed 5-4 in a series of last-minute death row appeals since January, repeatedly rejecting claims that executions should be on hold while the court considers an Alabama death case. Justices are taking up an appeal later this month from David Larry Nelson, a death row inmate who contends that his collapsed veins would make his execution by lethal injection unconstitutionally cruel. The court is addressing a technical question of whether it's too late for Nelson to pursue the claim. Sally Guerry recalled Thursday her shock the first time she saw David Clayton Hill, the man accused of shooting her husband to death; shock that he seemed so ordinary. Guerry, who was left a widow with two fatherless boys, expected to see a monster, someone whose appearance would match the monstrosity of the deed. "I expected him to look differently," she said. "He looked so normal, just like me or you." Nothing about Hill's past pointed toward a crime as violent as shooting Georgetown police Maj. Spencer Guerry in the face after the officer pulled him over for having an expired Colorado tag. Hill, who was 29 at the time, had a record of multiple traffic violations, some petty crimes and marijuana offenses. But he had never been violent, police and family members said. He did time in prison for marijuana possession in the late 1980s, and friends told police Hill had said he would kill before he went back to prison. Other than that, Hill was described as a life-loving young man who had a hard time managing his money, hopped jobs and dealt pot in small amounts to support his habit. He liked to cook and listen to music, his family said. His mother said he never seemed to have money. She and his father made most of his car payments and gave him their old house to live in. Even so, his parents often had to pay the utility bills, Gracie Hill told The Sun News 10 years ago. Gracie Hill died Jan. 11. She and her husband, Harry Hill, who died in 1999, adopted David Hill when he was a baby. In a strange twist of fate, investigators found David Hill's birth family when researching his background after his arrest. His birth mother had recently died after 30 years of searching for him. When Hill was charged with killing Guerry, many people who knew Hill's past said it just didn't seem like something he would do. What would make someone like that suddenly be so bold as to shoot a high-ranking cop point-blank with a 9 mm pistol simply because he got caught with an expired license plate and was driving without a license? His story, since the time of his trial, is that he didn't. Myrtle Beach attorney Jim Hills was one of David Hill's defense attorneys at his trial in Georgetown in 1995. He shocked the packed courtroom with his opening statement that Hill did not kill Guerry. The officer was killed by "a fallen angel," a disgraced former state police officer who was fired for drunken driving and then turned to drug-dealing, Hills said. The former cop, Johnny Cribb, was in Hill's car holding a gun on him, forcing him to drive somewhere, when Guerry pulled them over, Hills said. And when Guerry bent down to look inside the car, Cribb shot him to avoid being implicated in the drug deal, the story went. Cribb died in 1999. He always claimed the story was preposterous. When it came up at Hill's trial, the Georgetown County Sheriff's Office quickly investigated and found phone records that showed the phone at Cribb's house was in use at the time of Guerry's shooting. Cribb was fired after he crashed his State Law Enforcement Division car into another car. He had been speeding and was driving under the influence. Three women in the other car were badly hurt. Cribb left the scene to get some cigarettes and watched the police and ambulances cleaning up the wreck. He was later convicted of driving under the influence and sentenced to three years in prison for felony DUI. But he never served. The case was later overturned for improper handling of blood evidence. Hill and Cribb did know each other. Cribb had once arrested Hill when Cribb was a Georgetown County sheriff's deputy. In Hill's telling of the tale, he had done a drug deal with Cribb and owed him some money. He thought Cribb was going to make him drive to his house to see if there was any of his money there. Steve Blankenship, the only witness Hill could claim to seeing Cribb getting in Hill's car the afternoon of March 7 in Pawleys Island, had been murdered three months before the trial. When Hill testified, Solicitor Ralph Wilson attacked holes in the story that didn't match up, such as the line of fire Cribb would have taken and the way the bullet entered Guerry's face. There also was the matter of why Cribb would have let Hill go, giving him his gun back after the shooting, Wilson told the jury, if Hill had just witnessed Cribb killing Guerry. Then there was the matter of the murder weapon. It was not found despite an intense search, and Hill would not say where it was. Wilson called attention to that at the trial. Hill replied it was out in the woods near his house, buried. In 1999, the gun was found by a man who lived not far from Hill's house. It was shoved into the dirt under a propane gas tank. Ballistics tests confirmed it was the gun that killed Guerry, but no fingerprints could be detected on it. Hill told an imaginative tale concocted after the only possible witness was murdered and never mentioned it until the trial, Wilson said. Hill replied that he first told his story a month before Blankenship was murdered and had never mentioned it before then because "I didn't know who to trust." "You weren't going back to jail and [Guerry] was the only thing standing between you and jail," Wilson said. To the end, Hill maintained that story. Hills would not say Thursday if he believes the story. "You go with the defense the defendant gives you," Hills said. Defense attorneys had Hill examined while he was under truth serum. The doctor said, "He was either telling the truth or believed he was telling the truth," Hills recalled. The jury didn't believe it. They spent only 45 minutes deliberating after more than a week of listening to the case. They spent 35 minutes deciding on the death sentence. Hill maintained his story during his appeals. One point of appeal was the trial judge's denial of a delay, so a tape expert could arrive and testify. Hill's attorneys said the garbled transmission that was Guerry's last words could have been "they shot me." Others said it also could have sounded like, "David shot me," and some thought Guerry was trying to call "six nine one," the call numbers of city dispatch. The haunting tape was played in the courtroom while the jury was not present. Even with the disagreement, Hills said Thursday that if the expert could have testified, or if the jury had been allowed to hear the tape, "it could have made a difference," it could have raised some reasonable doubt that could have spared Hill the death sentence. Hills has defended four other clients in death penalty cases, and Hill is the only one who got the death penalty. He has kept up with Hill through Hill's newsletters and occasional personal letters. "I feel for him," Hills said. "I think he's a better person now." He was sad to see Hill's execution approaching and felt sad for everybody connected with it, he said. "When you're defending somebody, you're always looking for the good in your client, and you're always going to find it, because there is good in everybody," Hills said. South Carolina is pushing forward with the execution of David Clayton Hill, despite an order from a federal judge directing the state to investigate its lethal injection procedures. Lethal injection, contrary to popular myth, is not a peaceful way to die. According to Hill, South Carolina does not give inmates enough thiopental, the drug which causes the inmate to lose consciousness. If Mr. Hill is executed on March 19--as the state wants--he may remain conscious through the other drugs' effects. This means, he could suffer a heart attack, while suffocating. He will be paralyzed throughout the execution from the thiopental. The chemical used in lethal injection to induce a heart attack--pavulon--is found inhumane to euthanize animals in South Carolina and nineteen other states. Pavulon is banned in South Carolina. "You wouldn't do a dog this way," said Jerome Nickerson, Hill's attorney in a phone interview. "The state of South Carolina needs to investigate its procedures for lethal injection as the federal court has directed." Last Thursday, a federal judge in Charleston stayed Hill's execution based on concerns about whether the South Carolina Department of Corrections was administering sufficient quantities of thiopental during the execution process. The judge ordered further investigation into those procedures and found that Hill "raise[s] issues concerning the procedure used in South Carolina and whether it is adequate to safeguard against the wanton infliction of pain." Since 1998 one out of every two executions is botched, claim Hill's attorneys. Although required by the public records act, the Department of Corrections, according to Hill's attorneys, have refused to turn over toxicology information on executions. David Barron, one of Hill's attorneys, claims anyone executed in South Carolina has a fifty percent chance of being conscious throughout the execution..
Hill is not alone in his opposition to lethal injection. Last month, the Superior Court of New Jersey Appellate Division halted all executions in New Jersey, arguing that the state's regulations for lethal injection killings "appear to be arbitrary and unreasonable." The court ordered that the New Jersey Department of Corrections study its regulations before executing any inmates. And the US Supreme Court has agreed to hear Nelson v. Campbell, brought by an inmate who wishes to challenge the procedures of lethal injection. Our technology for execution may appear more advanced than the electric chair, but it still remains cruel. URGENT ACTION: Call Governor Sanford and ask that South Carolina respect the decision of the federal court. Ask Governor Sanford to stop the execution of Hill. This request is meant in no way to disrespect the pain felt by the victim's family. David Hill was sentenced to death in 1995, in Georgetown, South Carolina, for the murder of Deputy Chief of Police Major Spencer Guerry. David Hill was sentenced to death in 1995, in Georgetown, South Carolina, for the murder of Deputy Chief of Police Major Spencer Guerry. This tragic incident left the town polarized, with many believing in David's guilt, and many believing in David's innocence. Today we are constantly finding innocent people who have been sentenced to death. Incompetent or inexperienced lawyers, racially biased judges and juries and false confessions are only a sample of factors that could lead to a person being sentenced to death for a crime that he or she did not commit. Capital punishment is a life and death matter and mistakes can be deadly. "Murder and capital punishments are not opposites that cancel one another out but similars that breed their kind." What are we teaching our children when we show them that the only way to rid society of murderers is by murdering them? Many people believe that lethal injection is a human method of execution, however, a humane way does not exist. In fact, research has shown that the particular chemicals currently being used in executions merely mask the excruciating pain of death by asphyxiation. The person is paralyzed and unable to show any signs of distress, yet, the sedative can wear off before death takes place. The person ends up dying from not being able to breathe, a very painful way to die, rather than cardiac arrest. The state of South Carolina has banned the use of the chemical Pavulon in the euthanizing of animals because it was found to be inhumane. Why does South Carolina continue to use Pavulon in executing human beings when it has acknowledged that this causes and covers up a painful death? Write Governor Sanford to ask why, unlike every other state with the death penalty, no South Carolina governor has ever commuted a sentence of death. Ask if he believes the administration of capital punishment in South Carolina is immune from the wrongful convictions, racial bias and incompetent attorneys found to exist in every other state with the death penalty. Contact European corporations in South Carolina with copies to the Governor. Make clear their obligations under the Universal Declaration of Human Rights (UDHR). Point out the United Nations Global Compact equates silence with complicity. Let them know you will not patronize business which espouses human rights principles but ignores those same principles in South Carolina. David Clayton Hill was wrongfully convicted of the 1994 killing of Major Spencer Guerry of Georgetown, SC and has been on Death Row for the past ten years. To this day, David continues to maintain his innocence. The South Carolina Supreme Court issued the death warrant of Mr. Hill on Friday, February 20, 2004. David's attorneys have filed the first lethal injection lawsuit in South Carolina against the South Carolina Department of Corrections. The United States Supreme Court granted stays in two other death penalty cases due to lethal injection litigation, and then did a complete 180 degree turn and have allowed several executions to go forward even thought the same lethal injection evidence was presented. This is Governor Mark Sanford’s first case for clemency since he took office. The Governor needs to adopt meaningful procedures for clemency, including an opportunity for the attorneys and David Hill to meet with Governor Sanford. This case, as with every other case, must be carefully considered since this is a question of life, death and human decency. Please write to Governor Sanford and sign the online petition for David asking that he grant David clemency. We are also planning a Day of Action, with two guest speakers who were exhonerated from Death Row, but are needing a lot of help and funds to be able to pull this together in time. 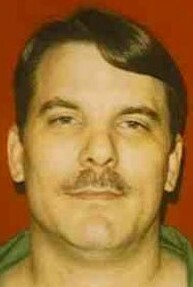 David Clayton Hill will be executed on March 19th, 2004 if nothing is done to help him. Please see the links above for more information on David's case. Thank you. Defendant was convicted in the Circuit Court, Georgetown County, Ralph King Anderson, Jr., J., of murdering police officer, and was sentenced to death. Defendant appealed. The Supreme Court, Moore, J., held that: (1) certain testimony was not admissible under excited utterance exception to hearsay rule; (2) defendant was not denied fair trial by presence of uniformed police officers in courtroom and hallway; (3) refusal to order television cameras to discontinue filming during jury selection was proper; (4) defendant was not entitled to ask jurors on voir dire whether they would consider that he did not have significant prior criminal history of violence; and (5) victim impact evidence was admissible. Affirmed. On March 7, 1994, Officer Spencer Guerry of the Georgetown Police Department stopped appellant in the parking lot of a car wash. Appellant was driving a silver/gray Honda Prelude with expired Colorado plates. He did not have a valid driver's license and he had marijuana in the car. Officer Guerry took appellant's Colorado identification card and car registration and called the information in to the dispatcher. As he was walking back to appellant's car, he was shot once through the cheek. After the shooting, appellant drove to his house, picked up his girlfriend, Wendy, and some of his belongings, and then drove to his mother's mobile home. He told his mother he was in trouble and asked if Wendy could borrow her car. His mother refused but offered to drive. His mother and Wendy followed appellant down a dirt road where appellant drove his car into a ditch. They then returned to his mother's mobile home and appellant asked Wendy to report his car stolen. Wendy refused. Appellant left the mobile home for a while. During his absence, the police arrived searching for appellant. Later, appellant returned to his mother's mobile home. He took a shower, washed his clothes, and poured Clorox on his hands. He then called the police and was arrested. Appellant's defense at trial was that someone had been hiding in his backseat and shot Officer Guerry. At trial, several witnesses testified appellant was the only person in the Honda. The sentence was not the result of passion, prejudice, or any other arbitrary factor; the evidence supports the finding of the aggravating circumstance; and the sentence is not disproportionate to that imposed in similar cases. State v. South, 285 S.C. 529, 331 S.E.2d 775, cert. denied, 474 U.S. 888, 106 S.Ct. 209, 88 L.Ed.2d 178 (1985). AFFIRMED. Following affirmance of his murder conviction and death sentence, 331 S.C. 94, 501 S.E.2d 122, and denial of postconviction relief, petitioner sought federal writ of habeas corpus. The United States District Court for the District of South Carolina, George Ross Anderson Jr., J., denied relief. The Court of Appeals issued certificate of appealability (COA). The Court of Appeals, King, Circuit Judge, held that: (1) petitioner did not procedurally default on trial continuance claim; (2) state court's refusal to continue capital murder trial from late Saturday afternoon to Monday morning was not contrary to or unreasonable application of federal right to present defense; (3) state court determination that presence of numerous uniformed police officers in courtroom did not violate right to fair trial was not contrary to or unreasonable application of federal law; (4) defendant did not show entitlement to either discovery or evidentiary hearing on fair trial claim; and (5) determination that defense lawyers were not constitutionally deficient in presenting defense expert witness who suffered "breakdown" on stand was not contrary to or unreasonable application of federal law. Affirmed. In October of 1995, David Hill was sentenced to death for the murder of Major Spencer Guerry, the Deputy Police Chief for the City of Georgetown, South Carolina. After the South Carolina courts denied relief on both direct appeal and collateral review, Hill sought habeas corpus relief in the District of South Carolina. The district court denied relief, and it declined to issue a certificate of appealability ("COA"). [FN1] In this proceeding, however, we have issued a COA on the following habeas corpus claims: (1) that the trial court violated the Constitution in refusing to grant a trial continuance; (2) that the presence of numerous uniformed law officers in the courtroom and courthouse during the trial was unconstitutional; (3) that the district court erred in refusing to conduct an evidentiary hearing or authorize discovery on the presence of officers in the courtroom and courthouse; and (4) that Hill's lawyers were constitutionally ineffective in calling Hill's psychiatrist during the trial's sentencing phase. As explained below, we reject each of these claims, and we affirm the district court's denial of habeas corpus relief. FN1. Section 2253(c) of Title 28 of the United States Code provides that, unless "a circuit justice or judge issues a [COA], an appeal may not be taken to the court of appeals from ... the final order in a habeas corpus proceeding in which the detention complained of arises out of process issued by a State court." 28 U.S.C. § 2253(c). In the early evening of March 7, 1994, Major Spencer Guerry, Georgetown's thirty-seven year old Deputy Police Chief, ate supper with his wife and children at a Shoney's Restaurant in Georgetown. At approximately 7:00 p.m., Guerry left the restaurant to return to police headquarters. While driving in his police cruiser on High Market Street, Guerry observed a Honda Prelude travelling ahead of him with an expired Colorado license plate. Guerry promptly illuminated his blue flashing lights, and the Honda pulled into a parking lot at the Georgetown Car Wash. Guerry exited his cruiser and approached the Honda, requesting that the driver, David Hill, provide his driver's license and the Honda's registration card. Although unable to produce a license, Hill provided Guerry with identification and the Honda's registration card. Guerry then returned to his police cruiser and radioed Hill's information to headquarters. While awaiting a response from headquarters, Major Guerry again approached the Honda, instructing Hill to exit the vehicle. At that time, Guerry was shot in the face with Hill's gun. Although he was mortally wounded, Guerry managed to use the radio on his shoulder strap to call for assistance. As indicated on a tape recording made at headquarters, he muttered only a few words, including "6-9" (the code for the dispatcher at headquarters was 6-9-1) and "-eh shot me." Soon after this transmission, emergency personnel arrived on the scene and transported Guerry to the Medical University of South Carolina, where he died several days later. Prior to the arrival of emergency personnel, Hill fled the scene of the shooting. Driving the Honda, he first went to his home on McDonald Road in Georgetown, where he picked up his girlfriend, Wendy Richardson. Richardson and Hill then went to the nearby home of Hill's parents, Gracie and Arthur Hill. Gracie and Richardson then followed Hill in Gracie's car as Hill drove to Johnson Road in Georgetown, where he abandoned the Honda in a ditch. After returning briefly to his parents' home, Hill departed again, leaving Richardson with his parents. In the meantime, police investigators had begun to search for Hill and the Honda. Armed with the information that Major Guerry had transmitted to headquarters before being shot, officers searched Hill's house on McDonald Road. Afterward, they went to the home of Hill's parents. By the time they arrived, Hill had abandoned the Honda, returned with Gracie and Richardson, and left again. The officers spoke with both Gracie and Richardson and searched the residence. As they were leaving, they requested that Gracie and Richardson have Hill contact the authorities. Approximately fifteen minutes after the investigators departed, Hill returned to his parents' home with his clothes covered in mud. After Gracie informed him that the police had been there and were looking for him, Hill showered and poured Clorox on his hands. He then phoned the police and advised them that the Honda had been stolen. Investigators responded immediately, arresting Hill and transporting him to headquarters. At headquarters, investigators performed trace metal tests on Hill's hands, revealing that Hill had recently fired a gun. After waiving his Miranda rights, Hill advised investigators that, earlier that afternoon, he had fought with his girlfriend. Afterwards, he had walked from his home to his parents' residence and had fallen asleep while reading a magazine in a nearby shed. Upon awakening, Hill entered his parents' home, where Gracie informed him that the authorities were looking for him. He then called the police. Skeptical of Hill's statements, investigators questioned him regarding the precise timing of these events. Hill then requested a lawyer, and investigators terminated the interview. That evening, investigators found the abandoned Honda. They also visited a nearby Exxon station and recovered a credit card receipt bearing Hill's signature. The receipt was time-stamped at 6:00 p.m. on March 7, 1994-- an hour before the shooting. On April 20, 1994, Hill was indicted in Georgetown County for the murder of Major Guerry. Pursuant to § 16-3-26 of the South Carolina Code, the State notified Hill's lawyers that it would seek the death penalty. Trial proceedings began on Monday, October 23, 1995, and by Wednesday morning, October 25th, jury selection had been completed. Given the publicity surrounding Guerry's death and Hill's prosecution, the court sequestered the jury for the duration of the trial. During its case-in-chief, the State presented substantial evidence of Hill's guilt, including, inter alia: eyewitness testimony; forensic evidence; and testimony from other witnesses, including Richardson. By noon on Saturday, October 28, 1994--the fourth day of evidence--the State rested its case, having presented more than forty witnesses. In his defense, Hill presented the testimony of officers involved with Major Guerry's last radio transmission, as well as the testimony of a trace metal expert. Hill also testified on his own behalf. By the time of trial, his version of the critical events had changed substantially from the statement he made to police on the night of his arrest. Specifically, Hill admitted in his trial testimony that he was in the Honda at the time of Guerry's shooting. He claimed, however, that another person, Johnny Cribb--a friend to whom he owed $16,000 because of a drug deal gone awry--shot Guerry. On the day of the shooting, Hill had travelled to Pawleys Island, South Carolina, to purchase marijuana. While driving back to Georgetown, he picked up Steve Blankenship, an individual with whom Hill and Cribb associated. After entering the Honda, Blankenship threatened Hill with a pistol and forced him to drive to a Ramada Inn near Georgetown. Blankenship also removed Hill's handgun from the Honda's glove box. At the Ramada Inn, Cribb met Hill and Blankenship, and Blankenship gave Cribb both weapons. Cribb entered the Honda and informed Hill that they had some "unfinished business." At this point, Cribb aimed a weapon at Hill and instructed him to drive to Hill's home on McDonald Road. On the way, Hill and Cribb were pulled over by Major Guerry. During the traffic stop, Cribb, who was hiding in the Honda's back seat, leaned into the front and shot Guerry with Hill's handgun. After the shooting, Hill and Cribb drove to Brick Chimney Road in Georgetown and met Blankenship. Cribb forced Hill to exit the Honda and had him fire a handgun into the woods. Afterward, Cribb left with Blankenship, and Hill returned in the Honda to his own home. He then met Richardson and proceeded with her to his parents' home before abandoning the Honda on Johnson Road. By approximately 4:30 p.m. on Saturday, October 28, 1994, Hill had completed his testimony. His next witness was to be Dr. Stephen Cain, an expert from Wisconsin. Due to unforeseen circumstances, however, Dr. Cain was unable to be in Georgetown that afternoon or evening. Given Dr. Cain's unavailability, the defense sought a continuance until Monday morning so that Dr. Cain could testify. After the court denied the continuance, the defense rested its case. Closing arguments in the trial's guilt phase were made on Saturday evening, and the court instructed the jury on Sunday morning. The jury then deliberated for about forty-five minutes on Sunday before finding Hill guilty of murder. On Monday, October 30, 1995, the trial's sentencing phase began. At that time, the State presented several witnesses, including police officers, Major Guerry's wife, and Richardson. The defense began presenting its evidence Monday afternoon, calling, inter alia, three experts: Dr. Emil Coccaro, Dr. Bernard Albiniak, and Dr. Joseph Burt. Each of these experts testified that Hill suffered from a treatable neuro-chemical disorder. On Tuesday morning, October 31st, Hill's mother testified. After closing arguments, the jury again deliberated and returned its verdict recommending that Hill be sentenced to death. The trial court accepted the jury's recommendation and imposed the death sentence.